We do our own installations – no subcontractors. Contact us today to get your FREE estimate. We manufacture our pool fences in the United States, which means that your fence will be made of superior quality and provide the highest level of safety. Call (985) 397-1785 or contact us online today to get your FREE estimate. 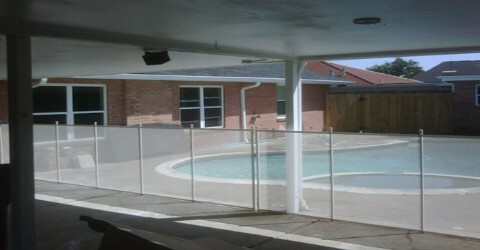 No other safety fence will look as good, be as strong, or last as long as a Life Saver Safety Pool Fence System! 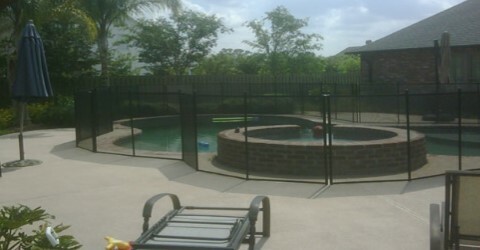 Life Saver pool safety systems are the premier removable mesh pool fence systems on the market. 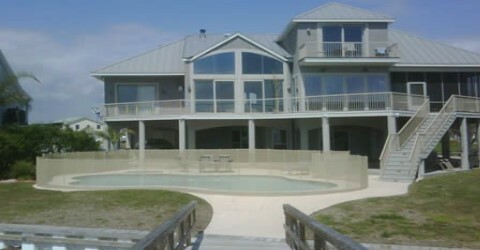 We have been installing swimming pool fencing in the southern part of Louisiana. 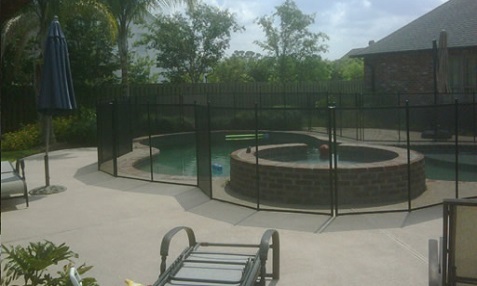 Our commitment to your child’s safety and our product excellence is backed by a Lifetime Warranty on all of our safety pool fence systems and installations. Life Saver’s pool safety fence is a removable mesh swimming pool safety fence designed specifically to provide a safety barrier around residential swimming pools for toddlers, young children and even small pets. 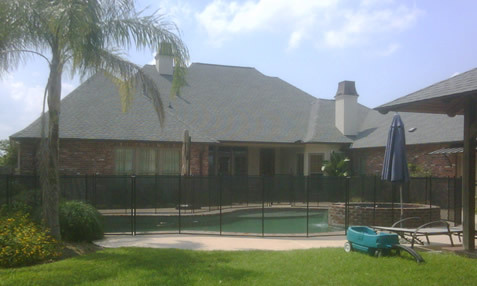 The removable mesh pool safety fence is installed in sections to provide convenience for easy removal and reinstallation by you, the homeowner. In addition to a superior quality product, a Lifetime warranty*, and responsive customer service, Life Saver Removable Pool Safety Fence will also meet or beat any offer in the market in terms of value! Other areas serviced by Life Saver of Louisiana include, but not limited to: Lafayette, Baton Rouge, Hammond, Mandeville, Slidell, New Orleans, Metairie, Houma, Thibodaux in Louisiana as well as Mc Comb and Hatiesburg in Mississippi. 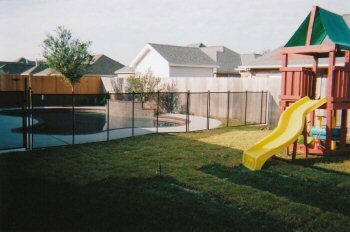 Get a FREE pool safety fence estimate today. 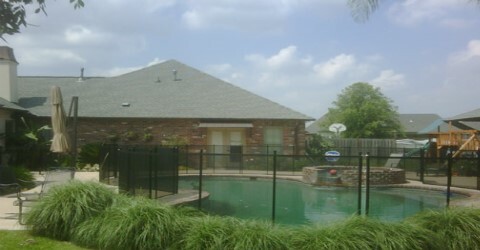 Call (985) 397-1785 now to learn about all of the unique features you will get with a Life Saver Pool Fence. Ask for your FREE Estimate. Our lifetime limited warranty and factory-direct customer support allow you to enjoy your fence with total confidence. 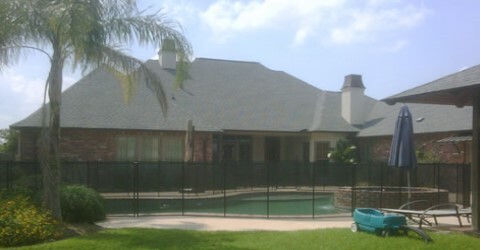 Schedule your Free pool fence estimate today. Call (985) 397-1785 now! Good quality fence that was installed on schedule. Terry took time to add finished edges to the custom cut pieces and cleaned up. Call (985) 397-1785 or fill out our contact us form. We set the schedule for your in-home estimate. We will go to your location and proceed with the estimate.